28.2 miles? Twenty eight miles? Did you say the Dark Star River Marathon is twenty EIGHT miles? Can you call that a marathon? Is that actually legal? A marathon is 26.2 not 28.2 surely. I mean you can’t even call it an ultra for heaven’s sake! Or if you did you’d be laughed off the trail. Twenty eight? 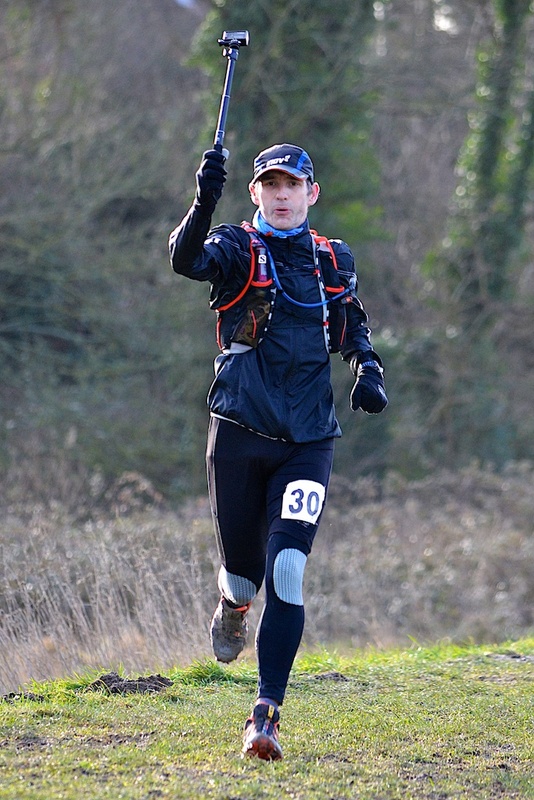 Who schedules a 28 mile race? Well the folks at Sussex Trail Events did when they set up the first Dark Star River Marathon in 2014. One can only assume someone with particularly poor handwriting wrote a six which looked like an eight and once the mistake had been discovered it was too late to change it. Out of such graphological inaccuracies are legends born. So it was that my running ‘wife’ Richard and I set off for Shoreham-by-Sea one cold winter’s morning. When I say cold, it was freezing. 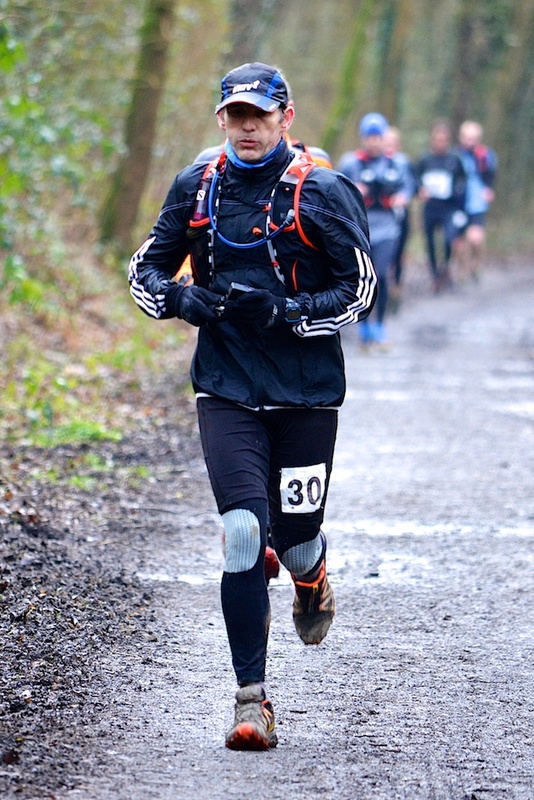 Since I became a bona fide ultra runner, I have taken to wearing a buff and a cap on almost every run. So a bit of a nip in the air doesn’t phase me! Also, the sun was shining which did improve the situation, marginally. The meeting place was the scout hut by the river. About 400 hardy souls had gathered, some of whom had braved the diabolical conditions last year. This would be a breeze for them! Race organiser Jason, gave the briefing, which involved much talk of cows, before we lined up outside for the off. I have missed the start of a couple of races recently, partly due to me fiddling with my newish watch, or going to the toilet when I thought I had enough time. On this occasion I was too busy filming on the GoPro to concentrate on the start! Consequently we were off before I knew it and Richard was already a hundred metres away as we crossed the bridge and headed north up the east bank of the River Adur. It was my intention to try and run around 5 minutes per kilometre and although I did, I really didn’t feel like I could have gone any faster. My legs felt quite heavy and the going underfoot was equally so. What would have been very wet, muddy ground had frozen and was now badly rutted. Richard was disappearing in to the distance and, although I was enjoying the sunshine and scenery, I was finding it a little tougher than I wanted it to be. However, once we reached the 10 mile point the route turned off from the river bank and on to the Downs Link Way. We followed the old Steyning Line railway up to West Grinstead station on much flatter ground. I was able to get in to my stride and began putting in increasingly faster splits. West Grinstead station and the Steyning Line were closed way back in 1966 as part of the infamous Beeching Axe. I turned at 14 miles at the station in 12th place overall. Richard was in 6th and seemingly a long was ahead. What I didn’t realise was that he was suffering with a stitch and had slowed dramatically. I managed to maintain a decent pace back along the railway line and caught a few people. I think I made it to 9th at one point. Heading back, I passed the other runners coming up the path, one of whom was Mark who was doing his 106th marathon (pictured below). Then I hit the river bank again and immediately saw the difference in pace. But the sun was out and the scenery was gorgeous. Who could fail to enjoy running in this kind of environment. I was starting to tire when I saw Richard up ahead. I caught him at around 20 miles and decided it would be much more fun to finish the race together rather than race. So, we ambled back along the Adur, gradually being caught by other runners. As we neared Shoreham the clouds started to roll in. Looking back at the film of the race the change in the light and the sky is quite dramatic from as late 25 miles in to when we finished at 28 miles…..that’s 28 miles. Richard and I crossed the line together in 4 hours 10 minutes in 13th and 14th place overall. Not bad seeing as we strolled the last 7 or so miles! Back in the scout hut we were given our goodie bag. No medal and no t-shirt. Instead, the glory of finishing and a bottle of Dark Star beer. Unfortunately I don’t drink alcohol. I am reliably informed, however, that it found a good home. I drank about 4 cups of coffee before we hobbled back to the car for the journey back to Worthing. 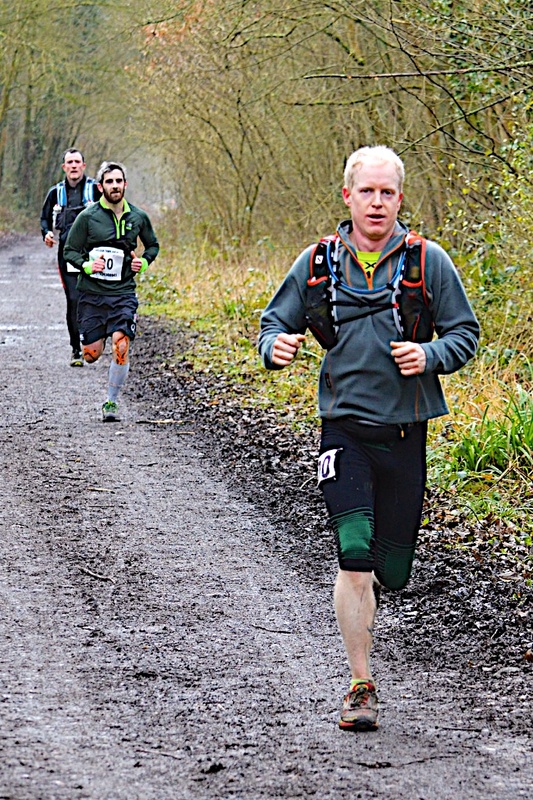 The Dark Star River Marathon is a flat race over a variety of terrains. 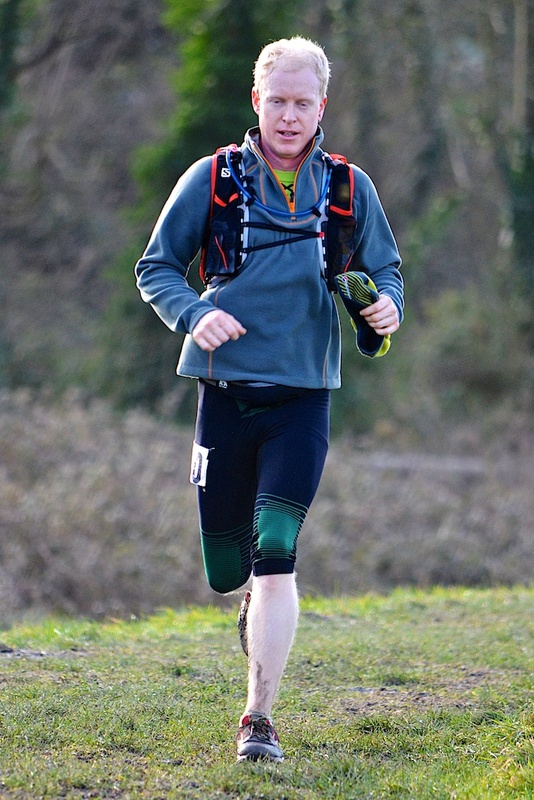 If you fancy trying your hand at a distance longer than a marathon, or you fancy attempting your first trail race, this is not a bad choice at all. The scenery is beautiful. It’s not too taxing in terms of the elevation and it will give you the experience of trail running and ultra running in one easy to swallow package. Heartily recommended. 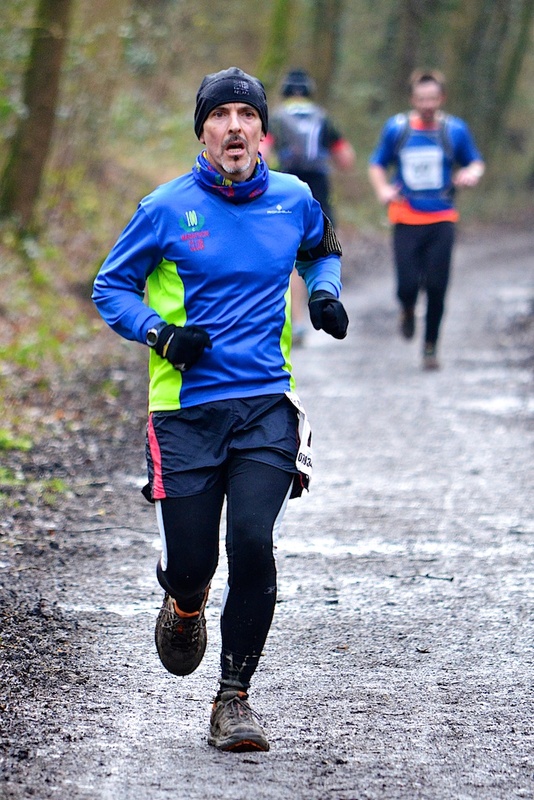 Addendum – Little did I know, writing this some weeks later, that the Dark Star River Marathon would be Richard’s last run for some time. He has suffered a shin injury which has been difficult to diagnose and even more difficult to recover from. It’s either really bad shin splints or a stress fracture, but he has now been out of action for some 13 weeks. During that time he has missed a fair few marathons including the Brighton Marathon. 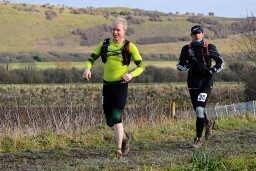 He will also miss the next event organised by Sussex Trail Events, which is the Arun River Marathon. I have graciously agreed to take his place, as I wasn’t originally planning to run.